Currently, large remotely controlled drones are not allowed to fly in unsegregated airspace within the UK due to safety concerns. 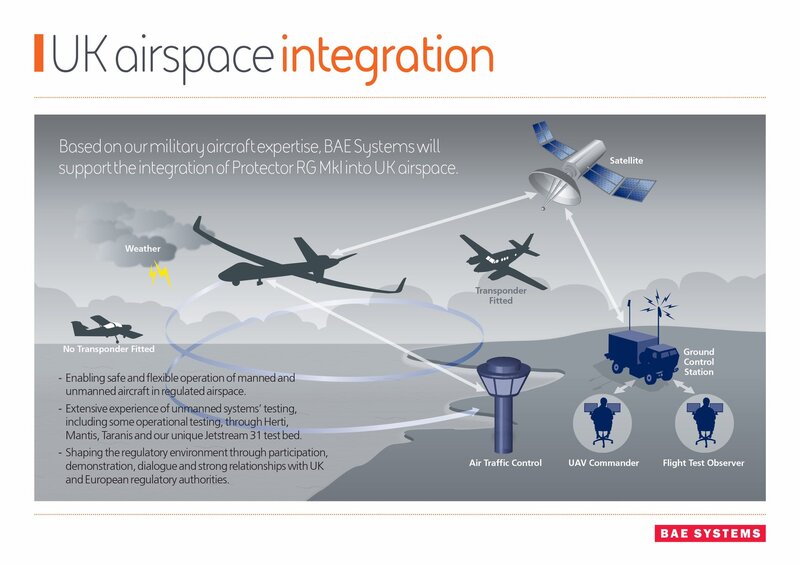 We have previously detailed the difficulties that the MoD and General Atomics have had in convincing airspace regulatorsthat ‘Protector’ can be flown safely in UK airspace. In July 2018, the company remotely piloted a SkyGuardian cross the Atlantic and landed it at the Fairford airbase. Severe restrictions were put in place for the flight into UK airspace with all other aircraft directed away for the period of time the drone was in the air. The aircraft was then disassembled and put into crates for its return journey to the US. Defence News reports today that ‘Detect and Avoid’ technology (still largely unproven), may be added to Protector in an effort to persuade regulators.